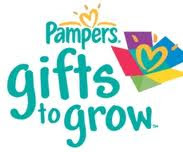 mommy's reviews: Two NEW Pampers Gifts To Grow Codes! Whew...it has been a great week for me getting these extra Pampers Gifts To Grow Codes! YAY! THANK YOU PAMPERS!!! Here are two more codes that were released recently...I am not certain of the expiration date.